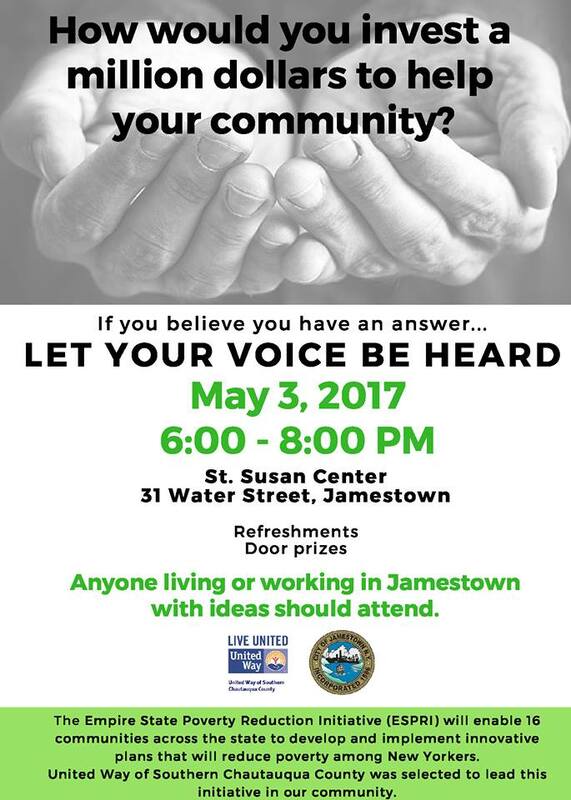 JAMESTOWN – The effort to reduce poverty in the Jamestown area took a step forward on Wednesday night with a public input session at the St. Susan Center soup kitchen. The meeting was hosted by the United Way of Southern Chautauqua County and focused on residents offering ideas and input on what strategies to use over the long-term to reduce poverty in the area. The city of Jamestown was given a $1 million grant last year as part of the Empire State Poverty Reduction Initiative, with the United Way serving as the lead agency on how to allocate the grant funding. 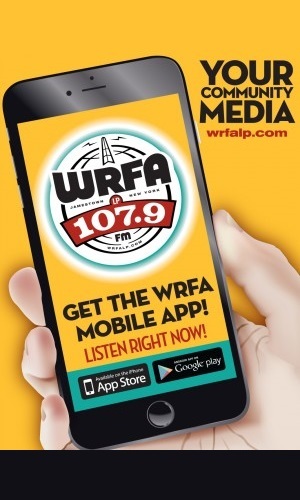 United Way executive Director Tory Irgang recently told WRFA that once the public input has been collected, it will be used to come up with a final plan on how to apply the money, which will be released later this spring or during the summer. The Center for Governmental Research – a consulting firm out of Rochester – is assisting the United Way in the effort to create and finalize the plan.